Summer is almost here, bringing with it sweltering heat, limited edition Crunky ice cream bars, and a whole new flock of ALTs (Assistant Language Teachers). Maybe your dream of coming to Japan is finally coming true. Soon you and other ALTs will be scattered across the Japanese countryside, about to be faced with your first classes. Three years ago I found myself in front of a class of 40 High School kids for the first time. I'd worked with children before (though they tended to throw things at me rather than sit silently staring). This was a whole different situation. So I've written this slightly unconventional guide to ALTing so you can learn from my mistakes. This is a mix of practical tips and some more abstract ones that will hopefully help you get through the first few weeks more smoothly than I did. 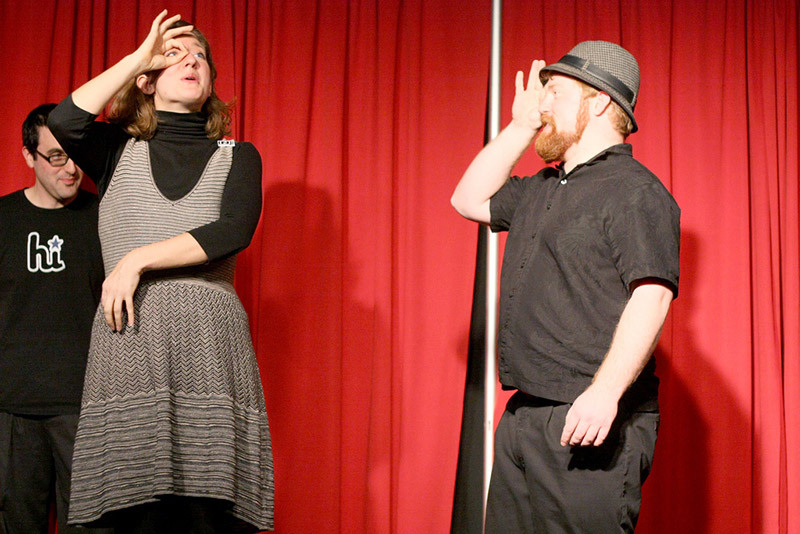 If I was running an orientation for new ALTs, I'd replace almost all the talks with three days of improv classes. "Every situation is different," is the realistic but often frustrating refrain heard at these orientations. Okay, so all your situations are going to be different. Then let's learn how to improvise to suit any of them! As I said, I have worked with kids before, but that experience didn't give me as many ALTing skills as the Comedy Improvisation classes I took in college. Mostly I'm talking about a mindset (though some improv games can also be adapted very neatly into English games too.) The most important one of these I think is the, mentality. In the classic improv game you have to accept what your partner says (yes). Then you add your own element to the story or performance (and…). It's a practice in positivity and rolling with whatever comes your way. When a Japanese Teacher of English (JTE) asks you to do something strange, ("Please talk about [random thing],") reach for the "Yes, and…" When a kid says something a bit weird, cheeky, or even rude, just "Yes, and…" them. Kid: "You became fat." Me: "Yes, and I'm practicing sumo." This attitude will help keep you from the nightmare situation of being flustered in front of class. It does take practice, but it is something you can learn. Personally I used "Yes, and…" almost everyday, even when I wasn't speaking. I use a lot of gestures. Sometimes kids would imitate and mock me for them. I'd just do the gesture bigger and more ridiculous. It got a laugh and I kept control of the class, as well as of myself. "Yes, and…" doesn't mean you have to agree with everything. You can "No, but.." instead. The important thing is accepting that you've been told something and adding your own information. I suddenly became a much, much better ALT one gloomy day in October. I only had to change one thing – my face. After I arrived in August I had been walking around with a slightly terrified expression, like a dog confused by a lemon. Then one day I decided to smile. It wasn't a particularly good day, I wasn't smiling because I was happy. I simply decided to smile, no matter what happened. Then suddenly it became a good day. Kids smiled back. Shy kids spoke up. Loud kids were loud in English. I felt like I'd discovered something magic. Those first few weeks my face actually hurt from perfecting my ALT face, but the benefits of smiling were amazing. Some of the changes were in the kids. They became more willing to talk to me, less sleepy in class, and discipline problems lessened. When my students wrote me letters, many of them wrote how they liked my smile. The other changes were in myself. It was a positive feedback loop. I smiled – kids smiled – I was happy – I smiled more. I felt more confident, which made a huge difference in how I acted in class. Smiling is free. It is a simple thing, but it can make a big difference. OK, so you've got your ALT face on. Now let's work on your voice. That smile you've already got is affecting how your voice sounds. Try it. With a straight face say, "This is a weird experiment that Tofugu is making me do," Then smile and try saying it again. Listen to how your voice changes. That smiley voice is part of developing an ALT voice. Now slow it down and speak louder. Really, really slow and really really loud. There you go. That's your ALT voice. It took me weeks of confused students' stares before a teacher took me aside and told me I was speaking too fast and too quietly. Three years later and my ALT voice makes kids sit up and listen. I once even used it to great effect on a drunk, semi-naked Russian man, but that's a story for another time. Don't strain yourself. As an ALT your voice is your most important tool, so take care of it. 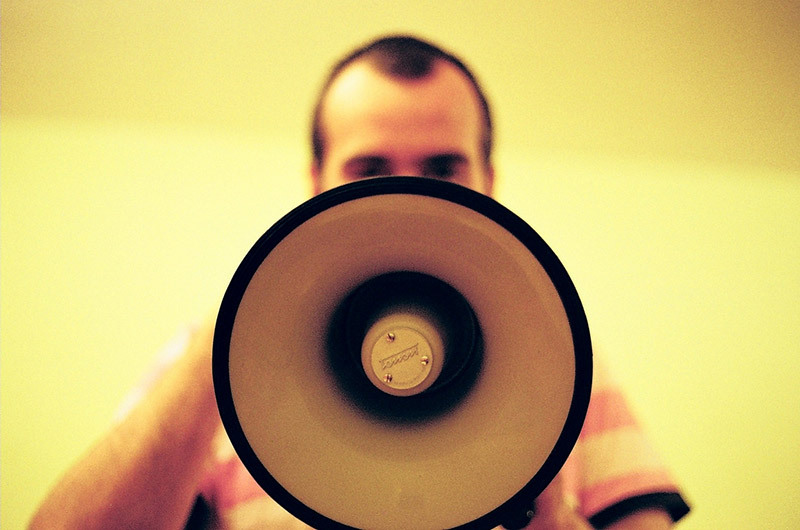 Projecting your voice doesn't mean you have to shout. Try to speak from your diaphragm. Doing some voice exercises will help you develop the endurance you'll need to genki your way through six classes in a row and still be up for karaoke that night. Games, games, games. How I hate games. Okay, that's an over simplification but I do hate being a clown, not a teacher. This is a classroom, not a children's birthday party. I'm talking specifically about Senior High School and maybe the upper years of Junior High School. 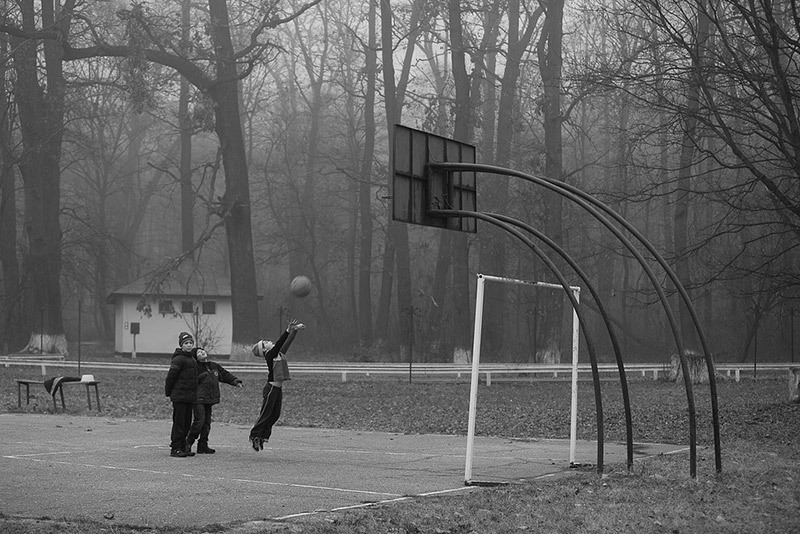 Games will only get you so far in motivating older kids. What really motivates them is a feeling that they are learning something and are improving. You can have fun in class, but fun that teaches the students something relevant is best. If you are doing a game, try to make sure it's linked to the material the students are studying. That can be harder than it sounds, especially if your JTE doesn't cooperate and tell you what material the class is covering, but persevere if you can. You may have to remind some JTEs that you are an ALT and the T stands for teacher. The other thing that motivates students is realism. Let me tell you the tale of the worst game I ever saw. A JTE had printed out vegetable pictures. Students had to walk around and ask each other "Please give me carrot," or "Please give me potato." To which the other students responded, "I give you carrot," or "I give you potato," as they handed over the cards. "I give you carrot." That's not English! Have you ever said that? Has anyone ever said that? Of course the game ended with the kids getting bored and simply giving up and sitting down. I don't blame them. What is the point of learning English like that? When I was asked to make a similar activity I put as much realism into it as I could. To create a realistic setting, I divided the class into shoppers and shopkeepers. Each shopper had a different shopping list. Each shopkeeper had different goods to sell from their "shop". The important thing was that, even though we were still in their classroom in Japan, we'd made that classroom as close to a realistic shopping experience as we could. The students responded with much more enthusiasm than if they'd been asked to say, "I give you carrot." Realia, or real items from your home country, are great for creating a true-to-life setting. Props are great tools too. Even a simple thing like using a book for a passport when doing an airport role-play can make a difference. I can't overstate the power of hats either, especially with younger students. Students are often willing to suspend their disbelief if you give them something to hang it on. 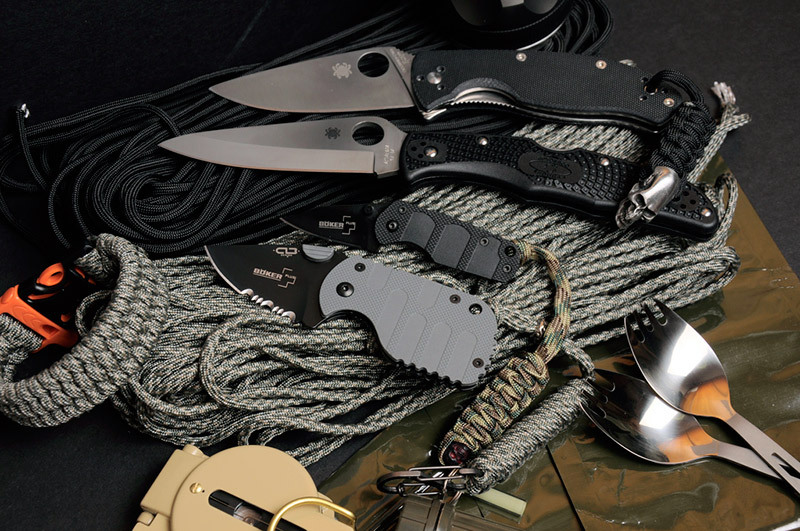 Whether you are stationed at one school or 20, you can make your ALTing life easier by making yourself a kit bag. Grab it and go! Comfortable indoor shoes! As you probably know, in most Japanese schools, people wear a different pair of shoes indoors. There are slippers provided for guests. Avoid these slippers at all costs. They only wish you pain, suffering, and broken ankles. Get your own pair of comfy shoes that you can easily jump around in. They don't have to be smart, just something you can stand up and run around in all day. If you travel to different schools, consider getting a drawstring shoe bag. It looks more professional than a plastic bag and makes it easy to carry your shoes around. 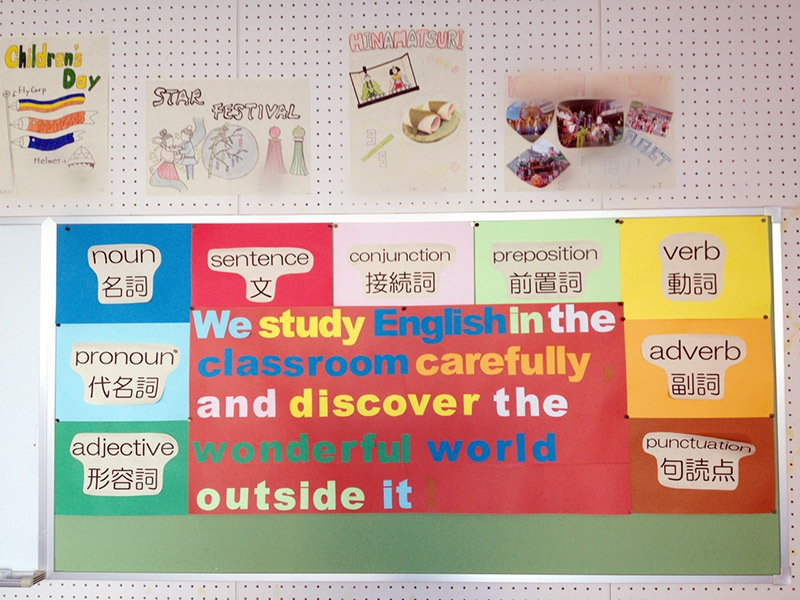 You can make any classroom an English room if you prepare some posters and take a few magnets. 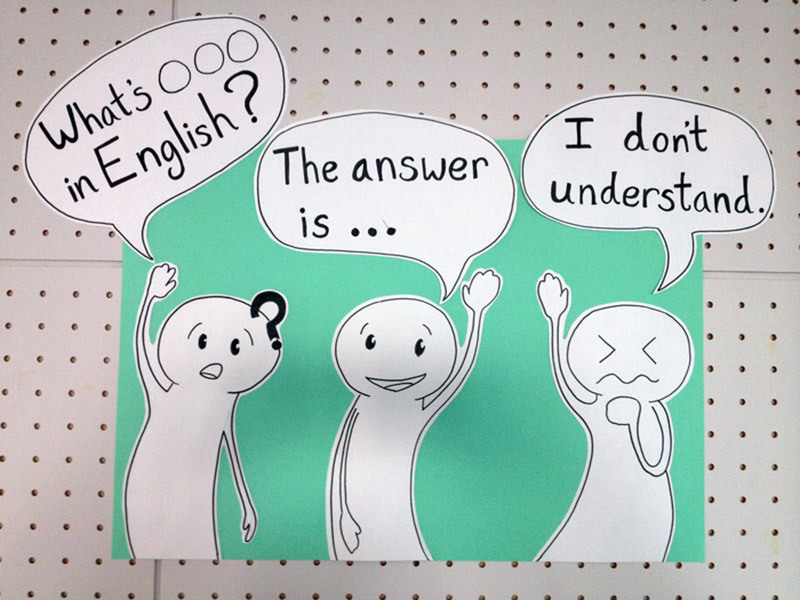 A lot of schools don't have a dedicated English room, but you can still throw up some portable posters before the start of the class to create a good English learning environment. 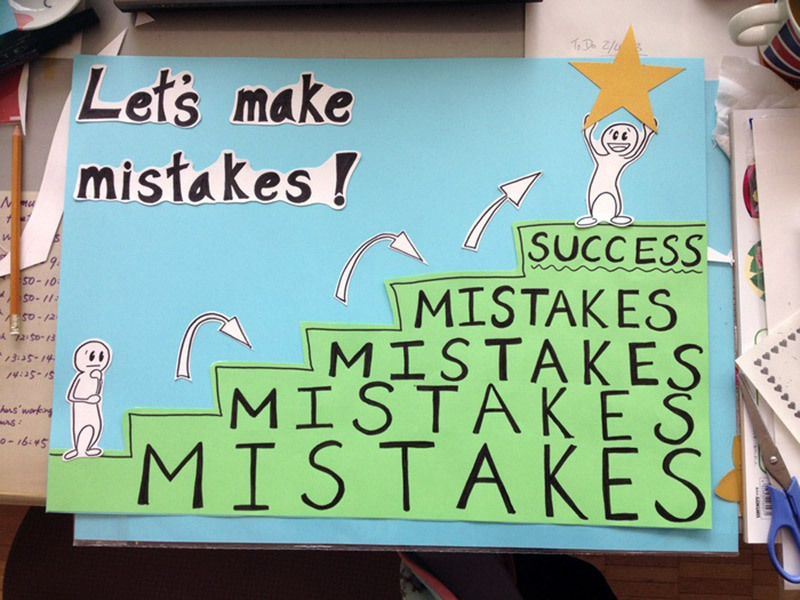 Mine include different ways to answer, "How are you?," poster about the benefit of mistakes, and a few useful classroom English phrases. 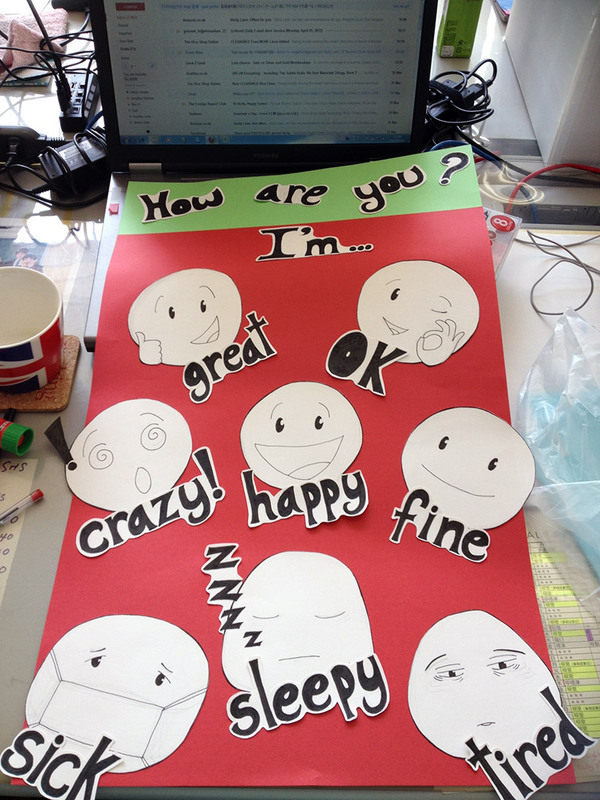 As well as encouraging kids, making posters is a good way to spend your desk hours. A very useful tool for keeping students and yourself on track. Or other simple, flexible activity materials. I just went online and found about 40 interesting pictures. They have saved me many times from the dreaded "Please do an activity," request that comes 5 minutes before a class. You never know when a school is going to surprise you with a class of students they have kept hidden for months. There is a debate to be had about employing ALTs who have no formal teaching qualifications. While that debate is interesting, the reality of the current situation is that many ALTs, private or JET, come to Japan with little teaching experience or pedagogical training. So if you are one of those ALTs, I'd really encourage you to do some research. It's not the same as teacher training, but if you can familiarize yourself with teaching theory you'll have a skeleton to build your teaching around. One of the turning points for me as an ALT was working at a seminar run by Dr Olenka Bilash. She is a Canadian educator who works with the Hokkaido Board of Education to improve English teaching. Her website is a good place to go to understand some ways of thinking about education, particularly aspects which are often lacking in Japan, such as student output ("using it" and "proving it") and how assessment should feed back into how children are taught. 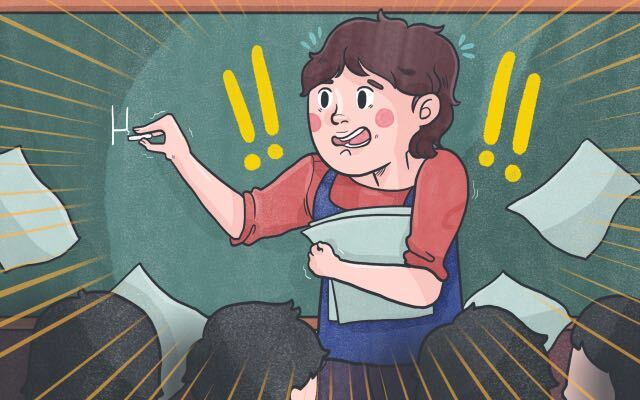 At that seminar, I saw that there were better ways of teaching English than the read-repeat-read-repeat I'd mostly seen in Japanese classrooms. Perhaps more importantly, I learned how to talk with JTEs about my ideas using terms they were familar with. My interest was sparked and from there I began my own research into resources for teachers that went beyond print and play games. Once I had a better grasp of some of the theories behind education, I was able to design my own activities to suit my students. What I know can't compare to a trained teacher, but even a little understanding is better than nothing. There are so many books and internet resources. Personally, I recommend Teach Like a Champion by Norman Atkins, as it has a lot of practical advice that really works. Okay, so you've got your kit bag, you've spent those long hours at your desk studying up on educational theory, you are ready to go! Not quite. You need to do a bit of English study too. "But I'm a native speaker/native speaker level," I hear you say, "I'm crazy good at English." Dear Tofugu reader, that is what I thought too, but I was wrong. I have a Masters in writing and I still get stumped by our bizzare language sometimes. While I might be able to function in English, that's not the same as being able to teach it. 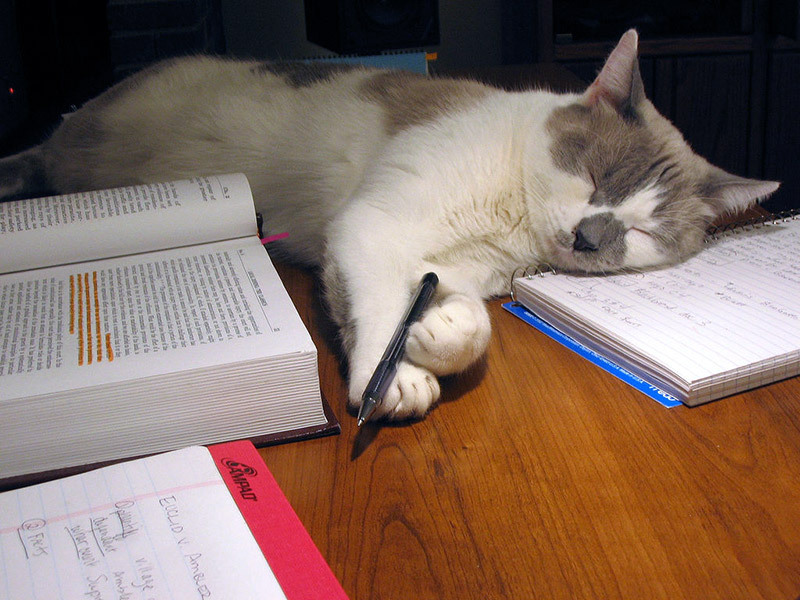 I have done many a frantic Google search to remind myself which are transitive and which are intransitive verbs. You need know the vocabulary to talk about sentence constructions that you've probably been using since you learned how to talk. I was never taught those at school, especially some of the obscure ones used in Japan. The good news is that almost all ALTs say that they've learned more about English since coming to Japan than they ever knew before. Don't worry. You already speak the language. You just have to review the bits of English that we use to talk about English. You can get a head start by Googling some grammar guides and glancing at the International Phonetic Alphabet (IPA). Even so, remember that no matter how prepared you are, some really archaic grammar patterns pop up in Japanese grammar books now and then. Unfortunately, Japanese Exams haven't been updated for a while, so kids still have to learn these constructions, even if you feel like you've stepped out of a black and white movie when you say them. If you get stumped, don't feel down. Learning English is an ongoing activity. You'll never truly be finished, and I think that's kind of cool. I've got three final things to share with you. First is the best thing I learned at my orientation. If you see a JTE make a spelling or pronunciation mistake, don't say, "Hey that's wrong!" Instead use the wonderful variety of the English language to your advantage. The phrase, "Maybe that's the American spelling. In Britain we write it like this…" has saved me many times, even when I knew that it was just flat out wrong. Swap American with British, Canadian or Australian etc. as you wish. You might be significantly better at English than the JTEs you work with, but by avoiding stepping on their toes you'll make your own life easier in the long run. 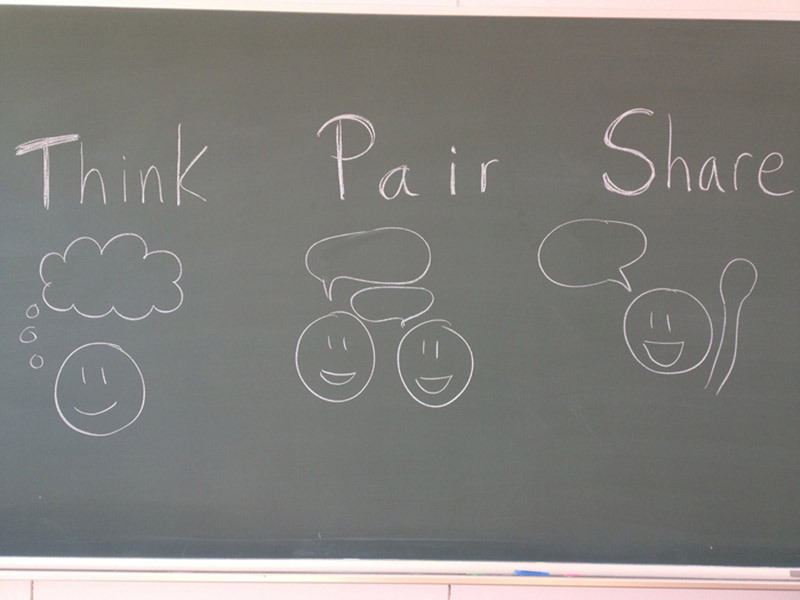 Secondly, three words that changed my students' participation rates massively: THINK, PAIR, SHARE. I got this from a presentation on ALTing given by the excellent teacher Rashidat Amanda Oumiya. First, write the words THINK, PAIR, SHARE on the board. Sometimes I illustrate them too. Then you give the students a question or discussion topic. Put a timer under THINK. They have 1 minute to think silently by themselves. Next move the timer under PAIR. Students practice saying their answer with their partner for 2 minutes or so. Finally, move the timer to under SHARE and ask for volunteers. Sometimes you'll still have to pick out students if they are very shy, but even so, they'll be more comfortable and prepared to answer. Basically, this is a framework to encourage reluctant Japanese students to volunteer by letting them know it is expected of them from the start of the activity. Moving the timer serves as an extra visual hint. Make sure you explain it clearly the first time and it can really help. Finally, in Japan a correct answer is marked with a circle. A wrong answer is marked with a tick or line. Don't do what I did and mark a whole batch of work with ticks and crosses before you find out! Good luck brave, new ALTs! You will face challenges, especially if you are placed in a bad school, but ALTing can be quite rewarding. Don't beat yourself up in those first few weeks if it's tough. I'm sure you'll find your own groove in no time! Just remember to smile!